Metro Cleaning Service (MCS) is a commercial cleaning business with 20 years history in the Perth area. We strive to provide our clients with quality service. The company that has enabled and supported MCS in this endeavour has been PowerVac. 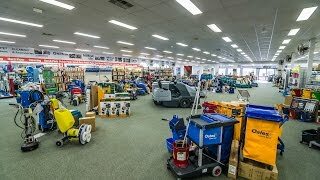 For 17 years Gavin, Rina and the team at PowerVac have provided MCS with quality products and service not matched in the cleaning supply industry. The excellent back up provided on many occasions has saved MCS money and stress. We are grateful and continue to purchase products and experience the excellent service that is provided by PowerVac.